Daily Walk-Ins for Team Leaders – Quality Assurance roles between 12 pm to 5 pm 1 February 2019 to 15 February 2019!!! Should have worked as a Team Leader for Quality Assurance for a minimum of 2 years. International BPO quality experience is mandatory. Candidates with US healthcare experience will be preferred. Daily Walk-Ins for Quality Analysts between 10 am to 5 pm from 1 February 2019 to 15 February 2019!!! Should have worked as a QA for a minimum of 2 years. International BPO quality experience is mandatory. Candidates with US healthcare experience will be preferred. You will be involved in the Monitoring and validation of sources harvested, validation and correction of data (national and international) made available to our customers under the supervision of Data Quality Manager. Regular monitoring of all data sources to verify their quality. Ensure the correct operation and completion of production sources completes by the deadline. Validate the weekly and monthly trends in data volumes for each country to ensure that there are no excessive fluctuations. Management of the job offers source s attributes. Identify and report the main attributes of ads. Transparent working environment, flat, non – hierarchical structure and open door policy that promotes the free flow of ideas, opinions, information, and expertise. Primary Comp & : Printer Technologies – Functionality Testing – Testing. Proficiency – Intermediate(>2 & Education. 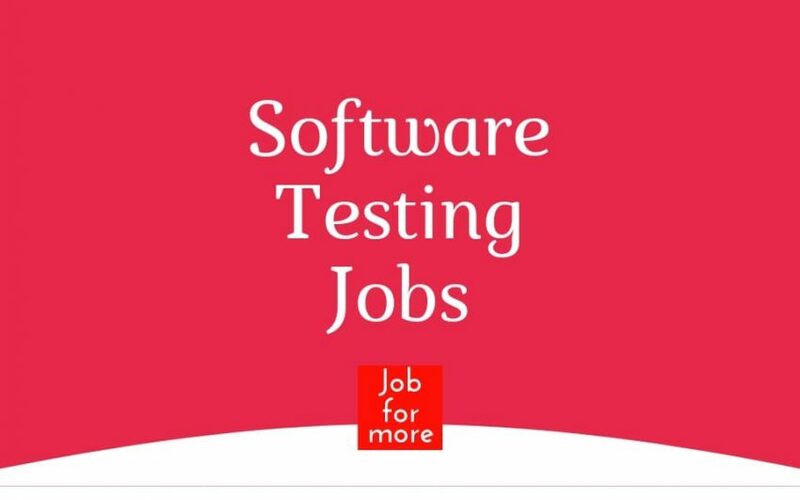 As a QA Engineer you will work as part of a team responsible for debugging NetApp Cables and Optics, NIC software and Hardware products, with special emphasis on the functionality of Cables and Optics, Network Interface cards, Switches through the use of systematic tests to develop, apply, and maintain quality standards for NetApp products. Experience in software test planning, test scripts, and documentation. Familiarity with the basic concepts of computer architecture, data structures and standard programming practices. Looking for Oracle database administrators with strong experience in database administration. Independently research solutions, troubleshoot and resolve complex problems by analyzing product code and interactions between various components of the system. Provide mentoring and training for new employees. Provide feedback on product design. Design new features for product supportability. Collaborate cross-functionally to develop target state cloud platform and infrastructure architecture. Drive technical discussions and facilitate with other teams within the organization. Gather technical requirements, assess capabilities, and analyze findings to provide appropriate cloud platform solution recommendations and adoption strategy. 4 years of experience in cloud computing (infrastructure, storage, platforms, and data). Degree / Diploma in Computer Science or Engineering field, or equivalent practical experience. Knowledge of infrastructure design & server infrastructure implementation. Experience with networking and web standards such as DNS, DHCP, TCP/IP, HTTP, web security mechanisms, proxies, firewalls & application delivery controllers.Hands on experience with Microsoft Azure. Should have the good understanding of Genesys application. Should have knowledge of different flows possible via Genesys. Good to have application upgrade experience. Should have 4 to 6 Years of overall experience.Java with JSFOracle / SQL DB knowledge is mandatory. Awareness of software engineering processes in design, code, testing etc. ZS welcomes candidates with degrees in computer science, electrical engineering, mathematics or a related discipline. A demonstrated record of academic success and significant programming experience are required. We accept candidates with experience in any programming language as long as they have excellent programming skills. 6 Months -3 years of experience in developing software, ideally building software products in a Software as a Service model. Bachelor’s Degree in CS, EE, or related discipline. Analyzing Information, General Programming Skills, Software Design, Software Debugging, Software Documentation, Software Testing, Problem Solving, Teamwork, Software Development Fundamentals, Software Development Process, Software Requirements. Good understanding of test methodologies, concepts, and mandatory Skills: development life cycle. Experience in Web Application, REST Full API, Mobile testing in a SaaS environment is desirable. Experience in writing test plans/test scenarios and detailed test cases. Experience in Test Execution and Reporting Establish test coverage and traceability to requirements. Experience with Test and Defect Management tools preferably Bugzilla. Should have Strong in DB/SQL skills. Hands-on experience with any programming/ scripting languages such as Java is added advantage. Hands-on experience with any automation tool such as Selenium, Sahi etc. is added advantage Ability to quickly learn complex systems, infrastructure. Banking Domain and data analytical knowledge are added advantage.